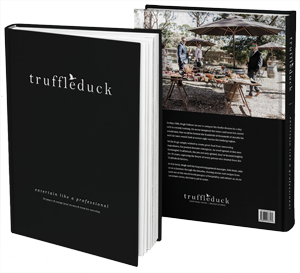 30 years of exceptional events and creative catering come to glorious life in this beautifully presented hard-cover book - a must for anyone who wants to entertain like a professional! In May 1988, Hugh Palmer set out to conquer his foodie dreams in a tiny café in central Geelong. He never imagined the twists and turns his career would take. Nor could he foresee the hundreds of thousands of mouths he and his team would feed at events right across the Geelong region. While Hugh simply wished to create great food from interesting ingredients, his passion became contagious. As word spread of this new fandangled Truffleduck, the jets not only ignited, they’ve burned brightly for 30 years, capturing the hearts of every person who feasted from the Truffleduck kitchen. Hugh and his long serving general manager, Deb Nash, take us on a journey through the decades, sharing stories and recipes from each era of this much- loved paragon of hospitality. 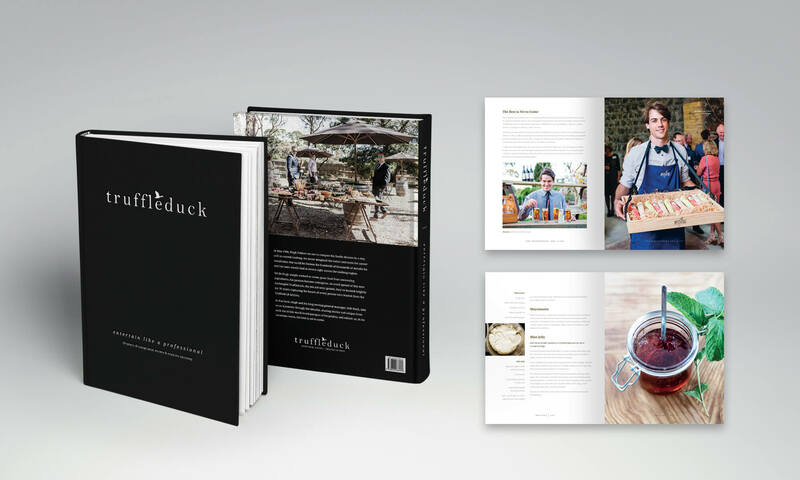 More than just a recipe book, this is a story about entertaining and making people happy. Come along, and enjoy your own culinary journey. It’s the perfect Mother’s Day gift idea - or just spoil yourself.